Tehran’s subway system is set to extend to International Imam Khomeini Airport (IKA) before the end of the Iranian calendar year. The extension is scheduled to be completed by March 2017 if the project goes as planned with construction and financing, Iran’s Ministry of Road and Urban Development announced. According to aviationIran website, Imam Khomeini Airport’s very first metro station is set to open by the end of the current Iranian year. A second station is also getting prepared to open, most likely in connection to the airport city’s new Salam Terminal, which is planned to be accessible by mid-2017. Salam Terminal is situated on the opposite side of the current terminal, requiring new transportation facilities. 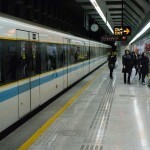 Tehran’s metro line 1 starts from the city and continues to the outskirts. The current project involves a further expansion to the international airport and the town of Parand. 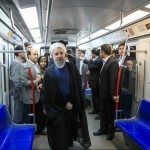 The new part of the line includes the route Shahr Aftab – Vavan – Tehran Imam Khomeini Airport Station 1 – Tehran Imam Khomeini Airport Station 2 – Parand. The newly added part will consist of an around 50 kilometres long track. 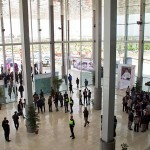 Tehran Imam Khomeini International Airport is the main international airport of Iran, located 30 kilometers (19 mi) southwest of the city of Tehran, near the localities of Robat-Karim and Eslamshahr, on a 13,500-hectare (135 km2) site. It was designed to replace Mehrabad International Airport, which is in the west of the city, now inside the city boundaries. As of August 2014, IKA airport serves more than 40 airlines operating over 850 of weekly flights connecting Tehran to cities in over 30 countries and territories worldwide. 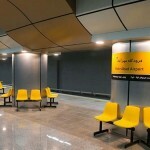 Tehran Mehrabad Airport is also connected to Tehran’s metro network. In February 2016, Mashhad International Airport was connected to the metro system. Other cities such as Shiraz and Tabriz are currently working on extending their metro networks to the respective airports. 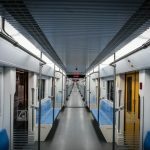 The metro system in Tehran carried over 4 million a day in 2010 and is expected to have a length of 430 kilometres once all construction is complete by the year 2020. A ticket costs about €0.3 regardless of the distance travelled.